Congratulations to Robbie Armitage and Cam Guarino for being named to the Maine Sunday Telegram All-State Baseball Team. Congratulations to all. 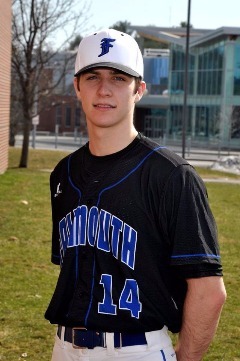 ​Falmouth senior, shortstop: A slick fielder, he was tough at the plate as well, batting .406 with seven doubles, one triple, one home run, 16 RBI and 22 runs. He pitched in relief with a 1-1 record and one save, and struck out 22 in 111/3 innings. He will play at Marist College. 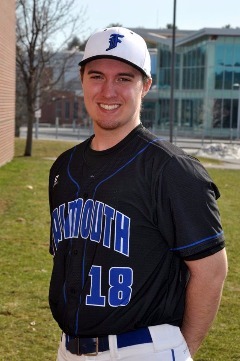 ​ Falmouth senior, pitcher: Maine's Gatorade Player of the Year, the lefty was one of the state’s premier pitchers the last two years, helping the Yachtsmen to the Class A state championship game each year. This year he went 9-1 with a 0.95 ERA and 66 strikeouts in 68 innings, and walked only 10 batters. He will play at the University of New Haven.